West African drumming, dancing and singing! "Agalu" means 'Spirit of the Drum". The other members of Agalu include Nigerian percussionists Ayo Adeyemi, Tunde Ojeyemi and Gasali Adeyemo who expertly play djembe, djun djun, ashiko and bata drums. Accomplished masquerade dancer, Femi Adebayo makes magic from inside fantastic masked costumes. Jamilat Ilesanmi and Sassy Ross bring audiences to their feet with infectiously energetic dance performances. Many of Agalu's members are also traditional textile artists who use their skill to create the troupe's colorful costumes. The members of Agalu belong to the Yoruba tribe who live in southwestern Nigeria and number about 18 million. 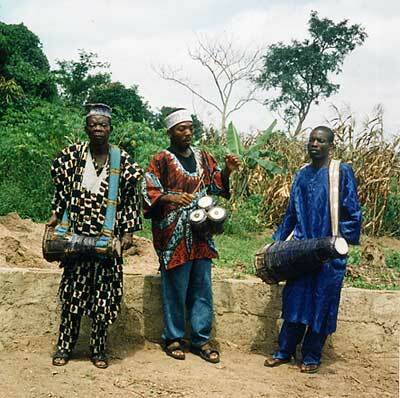 In the indigenous Yoruba religion, Ifa, drumming, singing and dancing are considered forms of prayer. Songs and rhythms honor various orishas, gods and goddesses who embody natural forces and assist the One Creator. 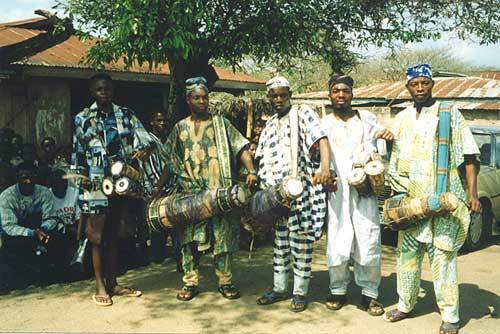 Yoruba rhythms have spread throughout the world and form the basis of Afro-Cuban and Afro-Brazilian percussion. Nigeria is located on the Gulf of Guinea, where West and Central Africa meet. It's approximately the size of California, Arizona and New Mexico combined with a population of over 100 million. The oil-rich country is made up of diverse climates that range from the Sahara desert in the north to tropical forests and coastal swamps along the Gulf of Guinea in the south. Akeem Ayanniyi leads Agalu. The "Ayan" prefix of Akeem's name Ayanniyi, indicates that he descends from a family lineage that can be traced back 700 years to the Yoruba deity of drumming, Ayan Agalu. As the ninth generation of his family to play the traditional Yoruba talking drum, Akeem, is from the Western Nigerian town of Erin Oshun near the historic art center of Oshogbo.He has been performing since the age of five and has, as a performer and teacher, toured much of Africa as well as Germany, Brazil, Sweden and the United States. 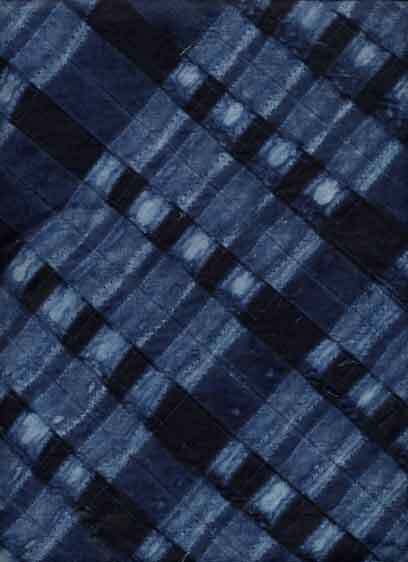 Akeem settled in Santa Fe, New Mexico, in 1993 and founded Agalu in 1998. Tunde Ojeyemi, who is also from Erin Oshun, has toured throughout the U.S., Europe and Japan. Tunde electrifies audiences with his mastery of bata, the "thunder drums" associated with the Yoruba Orisha, Shango, deity of thunder and lightning. Ayo Adeyemi was born in Ijebu, Nigeria where he was initiated as a babalawo in the indigenous Yoruba religion, Ifa. He is a master of djembe and djun djun, who has been drumming, singing and dancing since he was a child. In the 1980s, Ayo, whose name means "happy", came to America where he lived and toured with renowned Yoruba master drummer Babatunde Olatunji for eight years. In the 1990s, Ayo was proprietor of Yoruba House in West Los Angeles. Today, he is touring with Agalu to offer his music and teachings to a wider audience. As a vocalist, Ayo rouses audiences when he joyously sings the praises of the Yoruba deities. Guest performers from Nigeria often join the Agalu ensemble.